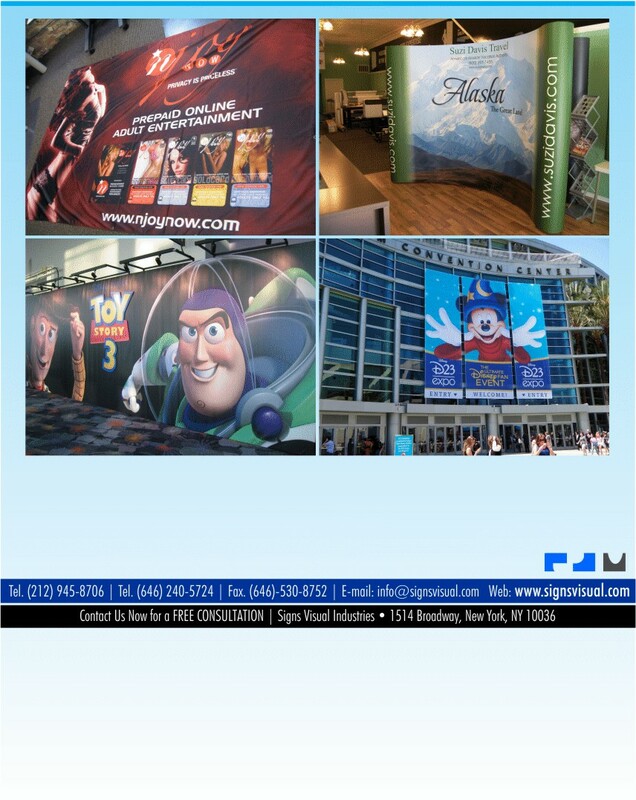 Signs Visual prints custom tradeshow signage, graphics, and banners in New York City. Our tradeshow graphics include vinyl banners, decals, foamboard prints, posters, fabric banners, and more. Tradeshow signage can be re-usable and be portable so as to be used for multiple expos, exhibitions, conferences and conventions. Our tradeshow banners are perfect for your branding and marketing purposes. Contact us today for a free quote on your next order for tradeshow signs in NYC!